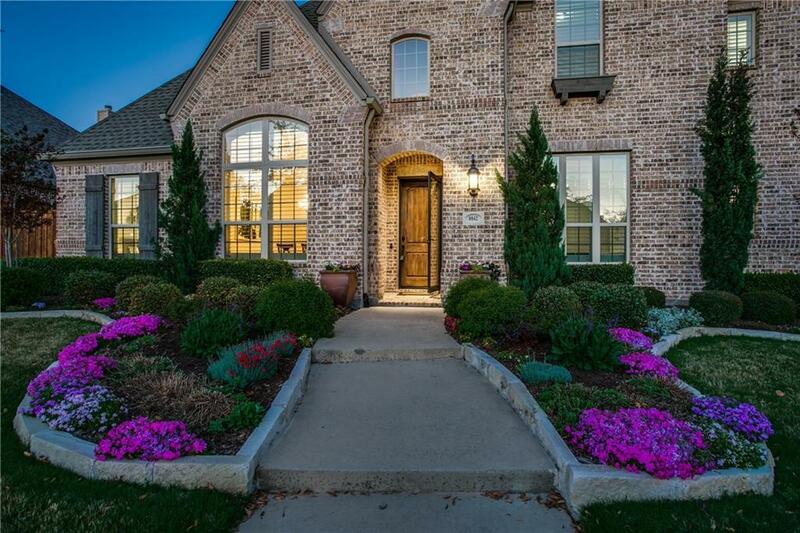 Exquisite West Facing Highland Home. 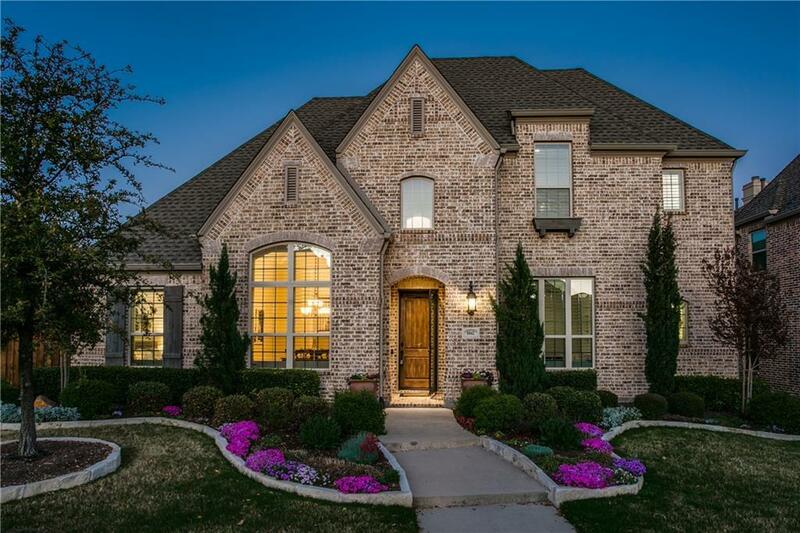 Superbly Maintained, Desirable Floor Plan w-Flowing Hardwoods Upon Entry, Elegant Study w-Custom Built-In's & Glass French Doors, Spacious Formal Dining. 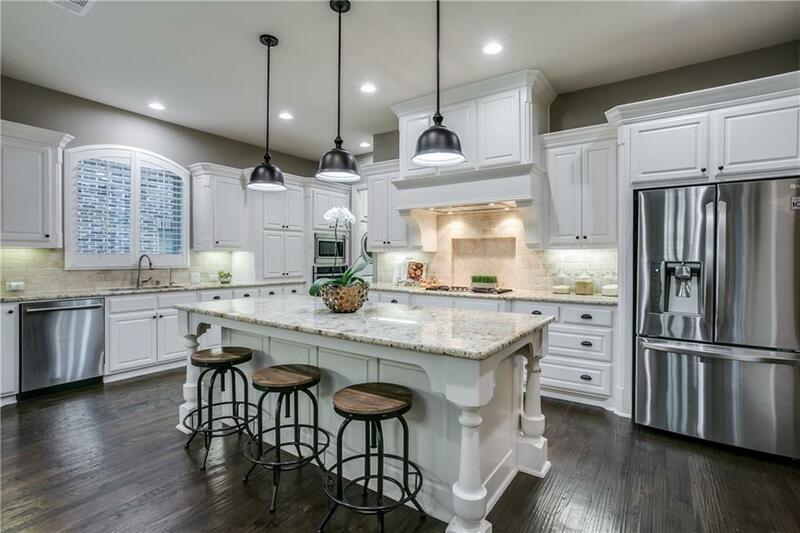 Impressive Kitchen w-Abundant White Cabinetry, SS Appl, Gas, SS Fridge, Enormous Granite Island, Walk-In Pantry. Utility Off of Kitchen w-Built In W-D, Granite C-Top & Sink. Guest Suite Down w-Private Full Bath. Expansive Living Area, Stone FP, Gabled Ceilings & Wood Beams, Dry Bar w-Custom Built-In's, Mud Bench. 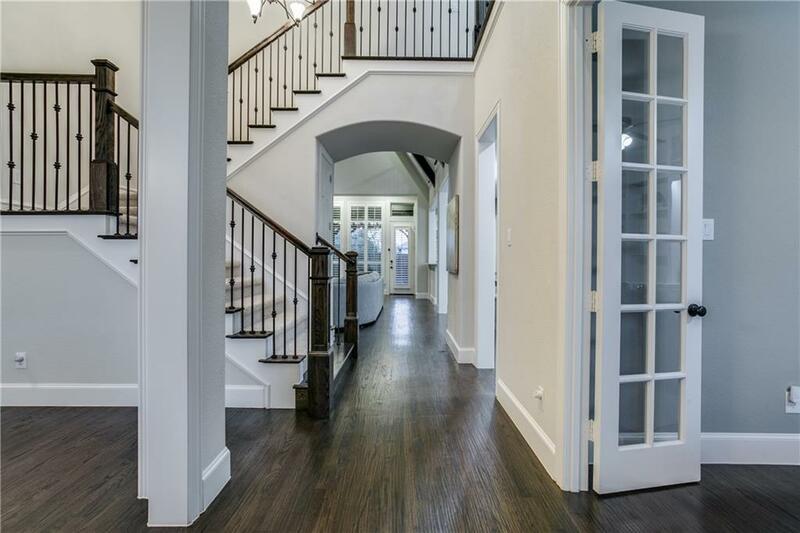 Relaxing Owner Suite, Bay Window, Huge Bath, Spa-Like Shower & Huge Closet w-Built In Safe. 2 Jack & Jill Bdrms Up, Built In Desk, GMRM w-Half Bath. Serene Outdoor Pergola, Stamped Concrete, BOB Fence w-Auto Gate. Offered by Rene Burchell of Coldwell Banker Res. Frisco.